Without doubt The Berkeley’s Prêt-à-Portea is one of my absolute favourite Afternoon Teas in London. 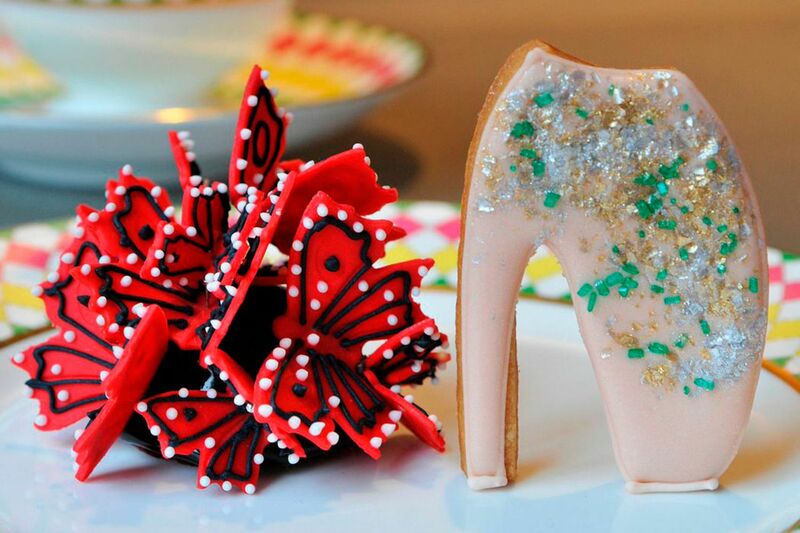 Mainly for the cakes which are phenomenal and all have a fashion theme. Nothing quite like tucking into a Moschino handbag made of sponge. To celebrate the Alexander McQueen Savage Beauty exhibition at the V&A, which I cannot wait to see. 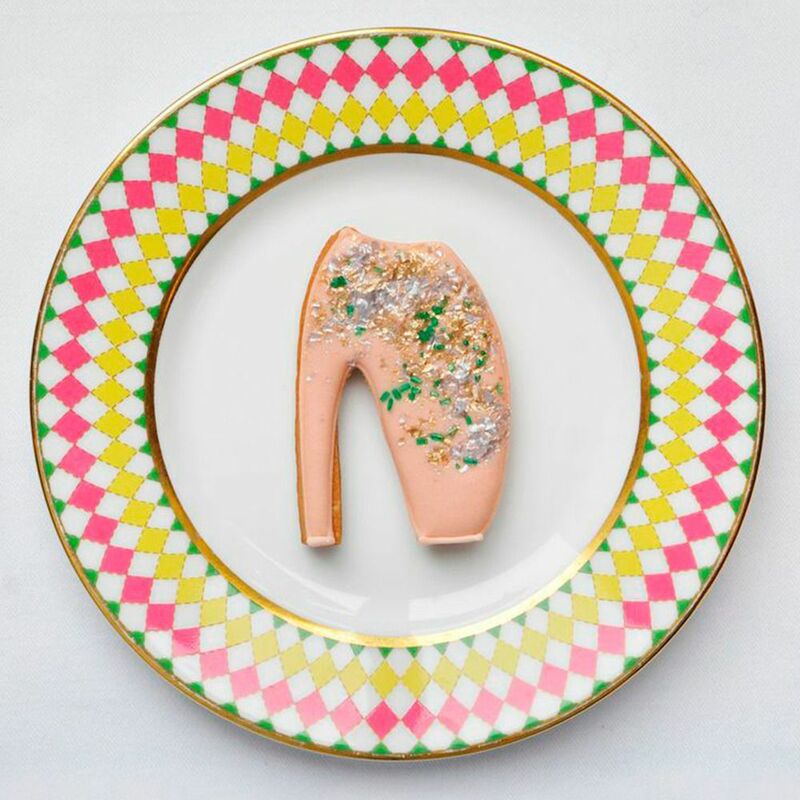 The Berkeley have added the addition of two Alexander McQueen treats to the Prêt-à-Portea. These are two of his most iconic pieces, the Armadillo shoe – as seen on Lady Gaga and the Butterfly Hat designed by Philip Treacy for the S/S 08 catwalk show. 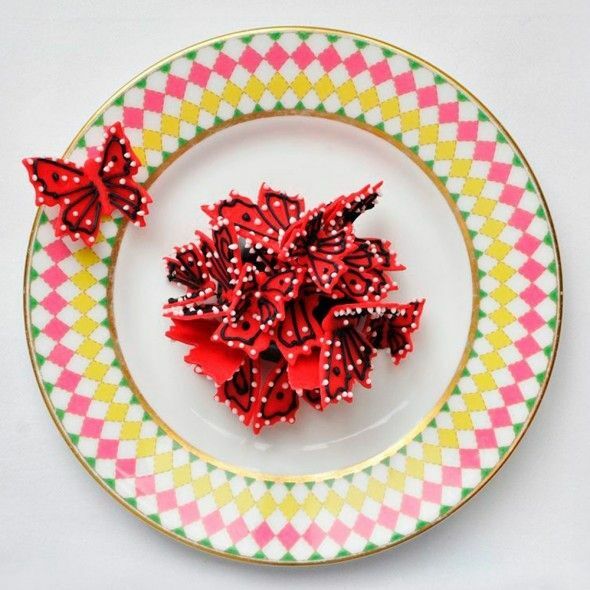 The Armadillo shoe will be a chocolate biscuit with cream icing and sparkles whilst the Butterfly hat will be a dark chocolate mousse set on a sablé breton with delicate red sugar butterflies. They both sound and look amazing! Such great additions to an already fabulous Afternoon Tea. For more on Prêt-à-Portea take a look at my review. The Alexander McQueen exhibition opens on March 14th at the V&A. Oh my god, they are gorgeous. I have tickets for June for the exhibition and can’t wait. So pretty aren’t they? I’m going in April too for my birthday, should be really good!